I think that as Christians we should remember more about Jesus Christ during the Christmas season. Everywhere you see Santa Claus, Christmas trees, gifts and luxury in abundance. Please do not forget Jesus Christ. He announced the good news. This WatchFace should remind you again and again. 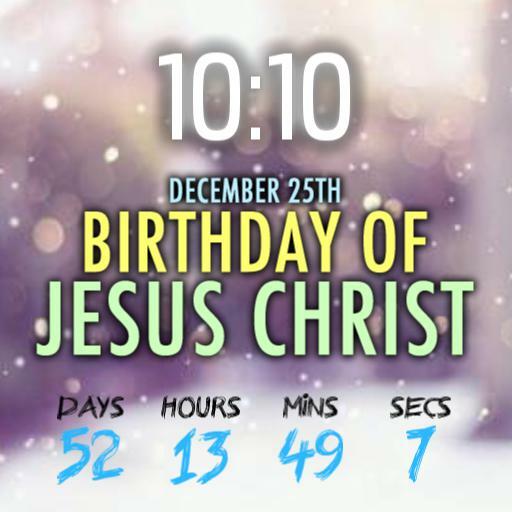 Note The real birthday of Jesus Christ is unknown. TheEncyclopdia Britannicasays that church leaders probably chose it to coincide with the pagan Roman festival marking the birthday of the unconquered sun, at the time of the winter solstice. According toThe Encyclopedia Americana, many scholars believe that this was done in order to make Christianity more meaningful to pagan converts. I wish you all a wonderful time and hope that WatchFace fulfills its purpose.